A year ago, there was a lot of debate about the role Consumer Financial Protection Bureau would play in the American financial landscape. The House Republicans definitely didn’t want to see the agency with any power at all while consumers anxiously awaited to see if this would finally be a government agency that had the power to push back on their behalf. The agency’s director, Rich Cordray, had a lot to prove and frankly, he didn’t have the support of many. One of the most awaited reports and the impact the agency would have would soon be tested. That report was on reverse mortgages. And make no mistake, both Cordray and his Consumer Financial Protection Bureau drew definitive lines in the sand and few have even dared step up to that line. Consumers around the nation are quietly cheering. We don’t know what’s next, but one thing’s for sure: if Richard Cordray has his way, things will never be the same. They have a very, very broad authority-kind of a superpower. Nobody knows how they will use it. As part of the Dodd-Frank Act, the agency was first tasked with studying several areas of consumer finance, clearly the most challenging was going to be credit card overhauls and the way they affect consumers. Additionally, and this is one area that didn’t receive as much media attention, the agency also was asked to conduct a study on the reverse mortgage industry within one year of its launch. The CFPB quietly went about taking care of business. It met its deadline easily (along with several other deadlines) and this is what’s been found as part of that study on reverse mortgages. Among its key findings, the bureau reported that reverse mortgages are “complex products….difficult for consumers to understand”. Remember, these loan products are marketed to older Americans wishing to enjoy their retirement and golden years but who can’t because of their mortgages. Many want to pay off their credit card debt and perhaps take trips, enjoy their grandchildren or even simply things like plan fishing trips without the burden of worrying about their mortgages. The bureau also discovered that too many bad habits from the subprime and prime markets before the collapse in 2008 have leaked into the reverse mortgage area and further complicating matters are actually efforts to simply the process. It’s proven to be even more difficult to understand now than before. There are frustratingly complicated fee structures and of course, lenders who don’t quite grasp the ethical approach. The bureau goes on to explain that the federally required disclosures that should be making the lingo easier to understand are actually more confusing. They lack the easy to understand language that makes decision making processes safer and easier. If consumers don’t know what they’re getting into, they certainly can’t understand the risks associated with these types of loans. Additionally, these loans are now being sought out by those who have not retired yet and the bureau found these types of dynamics are actually considered riskier for these borrowers. Because they’ve tapped into their equity at an earlier age, they’ve essentially eliminated all of their resources for future needs. For instance, if a loan is taken out by a 60 year old, and if that equity is used to pay off credit card bills and other expenses, it’s entirely likely that just ten years later, he will have no financial resources at all to sufficiently care for him. The still-confusing healthcare laws, of course, are only heightening fears. Not only that, these borrowers are also opting to withdraw all of their money at the time of the loan closing. This is up by 30% from what borrowers did in 2008. By doing this, they’re increasing the odds of there being no money a few years later, therefore nothing left to tap into. As if all of this isn’t bad enough, the bureau reports an increase in the number of borrowers who are at risk of foreclosure because they can’t maintain the taxes and insurance on their homes. Remember, these borrowers take out these loans to ensure they’re taken care of after retirement. Often, there only options if they lose their homes are nursing homes or moving in with family members that may not be prepared to take aging parents. If one spouse takes out the reverse mortgage loan and the other spouse is not on the loan at all, if the borrowing spouse dies, the other spouse must either sell the home or pay the reverse mortgage in full and at the time of death. This applies to anyone who’s living in the home. This is one aspect of the loans lenders often don’t mention, either. counselors need improved methods to help consumers better understand the complex tradeoffs they face in deciding whether to get a reverse mortgage. And they say it’s difficult to find those professionals and even when they do, because the industry is still in a “growing phase” the counselors struggle to stay current on the those changes. Then, of course, there are those hired by the lenders, making the counselors feel more loyalty to those lenders than the consumers who need them most. Because the potential for fraud is inherently higher in older age groups, the risks of being scammed are higher, too. There is not enough regulation to keep this in check and even when it is discovered, the repercussions for unethical lenders is not enough to keep them out of business. There are no special disclosures that have been authored and those that are part of the process, the bureau suspects are written with difficult language to further confuse borrowers. 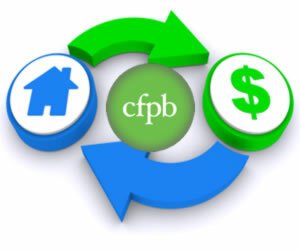 For now, CFPB is working on new regulations that will be part of the consumer protection laws. They will be written specifically for this particular sector and will ideally have very specific and swift repercussions for those who deliberately set out to take advantage of these borrowers. So far, proposals have included placing limits on misleading advertising, making it mandatory for easy to read disclosures and efforts to prevent cross-selling of financial products. It should also be mentioned CFPB had this report completed, in full and to Congress a month before it was due. Don’t you wish all government agencies worked so diligently at protecting taxpayers?